The fastest VDSL modem router. VDSL2 technology delivers VDSL broadband speeds of up to 100Mbps. 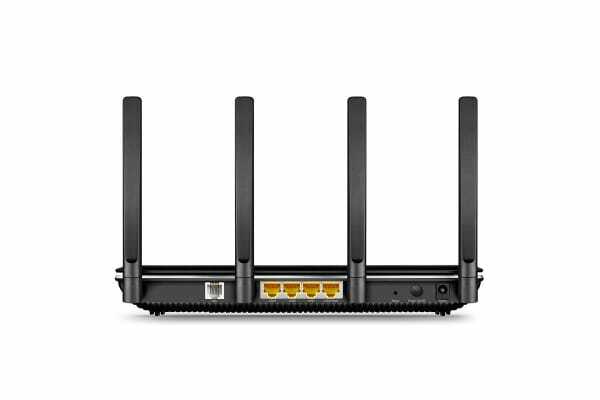 The integrated DSL port supports all standard DSL connections* for compatibility with most ISPs. 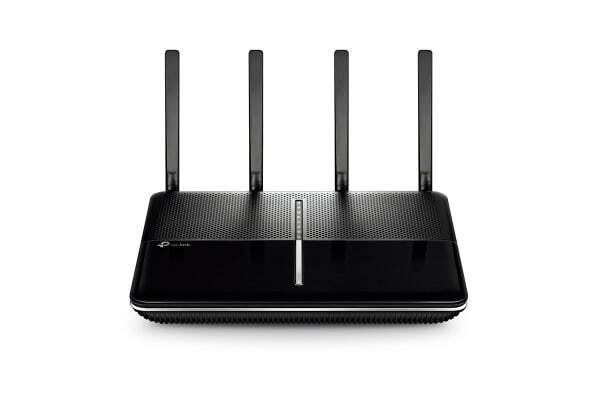 * The Archer VR2800 is compatible with VDSL2, ADSL2+, ADSL2, and ADSL. A powerful combination of advanced Broadcom NitroQAM and 4-Stream technology opens data transfers wide open to boost 5GHz band wireless speeds for every device. 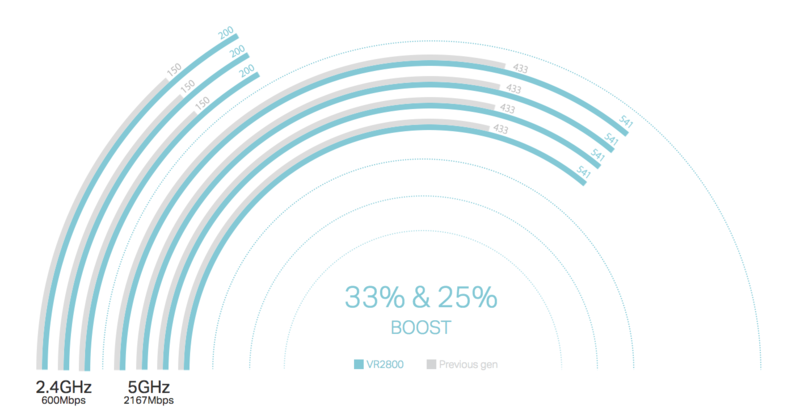 802.11ac Wave 2 is the latest standard of Wi-Fi. 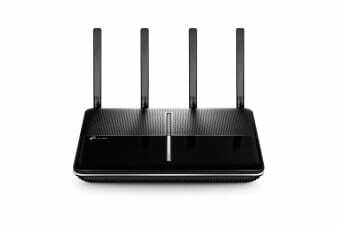 This includes MU-MIMO technology, whose four simultaneous data streams connect devices to speeds up to 4x faster than standard AC routers. In addition, Wave 2 enables up to 160MHz bandwidth* on a single channel, broadened for faster transferring rates. * 160MHz bandwidth technology will follow later by updating. Need whole-home Wi-Fi? The VR2800 has you covered. 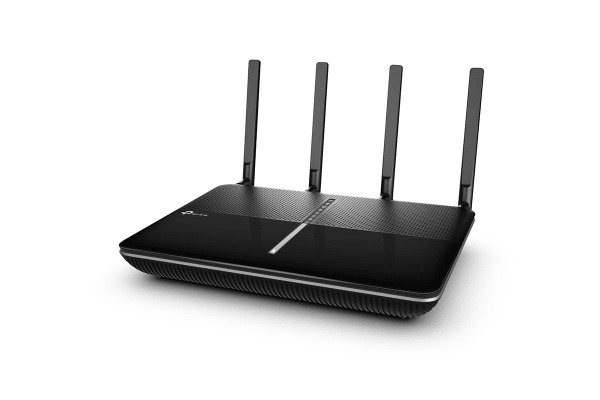 Four external antennas create a strong, far-reaching network in every direction. Power amplifiers and low-noise amplifiers boost the sending and receiving signals to increase Wi-Fi coverage. And with beamforming to locate and form targeted connections, take your mobile device wherever you like. Four Gigabit Ethernet ports operate up to 10x faster than Fast Ethernet. Connect your gaming console, desktop or IPTV to 4K-ready speeds.Two USB 3.0 ports allow you to connect hard drives and transfer up to 10x faster than USB 2.0. Quickly and easily share files, photos, music, and video across your network. The VR2800 is powered by an industry-leading Broadcom 1GHz dual-core CPU with two co-processors to keep it running at peak performance. Broadcom makes the world’s most widely used chipsets for DSL products, providing integrated solutions for more than 100 Internet Service Providers around the globe. Not only does this guarantee excellence, but compatibility with your ISP. TP-Link’s free app Tether helps you set up and manage your Archer VR2800 from any Android or iOS device. Tether also puts advanced functions in the palm of your hand. Parental Controls help you provide a safe network environment for your children. Guest Network and Block List let you take control of your home network and who uses it. Network management has never been easier. NBN - Fibre to the Node (FTTN) - DSL Modem Router Mode, NBN - Fibre to the Building (FTTB) - DSL Modem Router Mode, NBN - Fibre to the Premises (FTTP) - Wireless Router Mode, NBN - Fibre to the Home (FTTH) - Wireless Router Mode.